More and more smartphone manufacturers have their own showrooms, stores and sales stands. Motorola has just joined this group by launching the first in Europe sales outlet. The company chose Poland, putting it on Silesia City Center, a huge shopping center in Katowice. We have been used to Sony or Samsung stores for years. Recently, companies such as Xiaomi and Huawei also open their own stores. 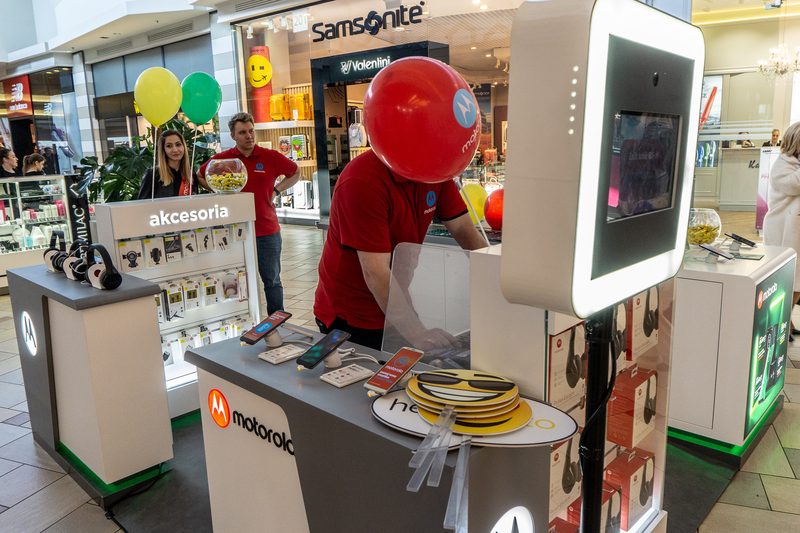 Motorola follows this trend by launching direct physical sales in Europe. 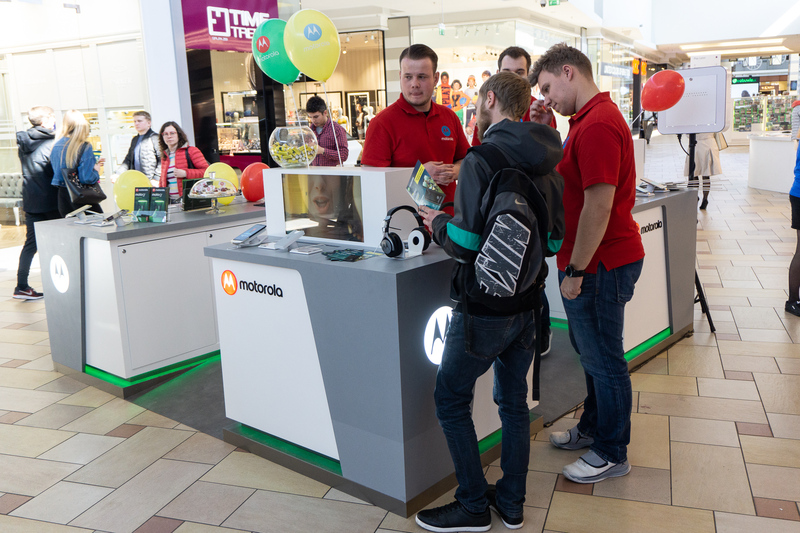 The first country where you can buy a smartphone by visiting Motorola's official point is Poland. The right position is already operating in Katowice. So I visited Silesia City Center shopping mall and I checked how it looks. In contrast to the Xiaomi or Huawei salons, Motorola has set a tiny, unobtrusive stand. The sales outlet grew in the middle of one of the corridors inside the shopping center. In terms of space or decor, it is nothing more than a booth with a smartphone case, information points or a place to gift wrapping. Against the background of market competition is modestly. Very modestly. In the position of Motorola you can buy all new smartphones from this manufacturer, as well as a number of accessories. There was even room for several pairs of headphones. Some of the phones were included in the promotion on the occasion of launching the point. Colorful balloons and ladies distributing leaflets suggest that a new stand has been opened. However, there can be no speech about any large pump. I saw Frogs that were opened with larger fanfare. 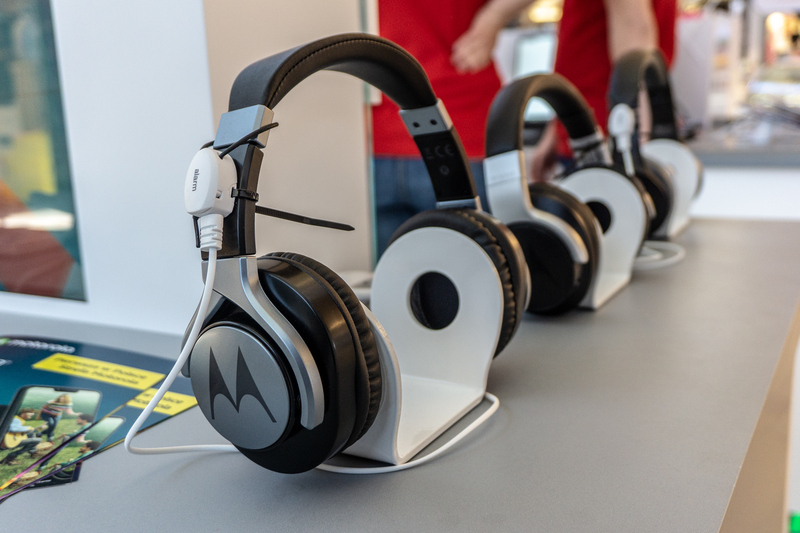 Despite the modest stand, Motorola's products enjoyed taking clients. 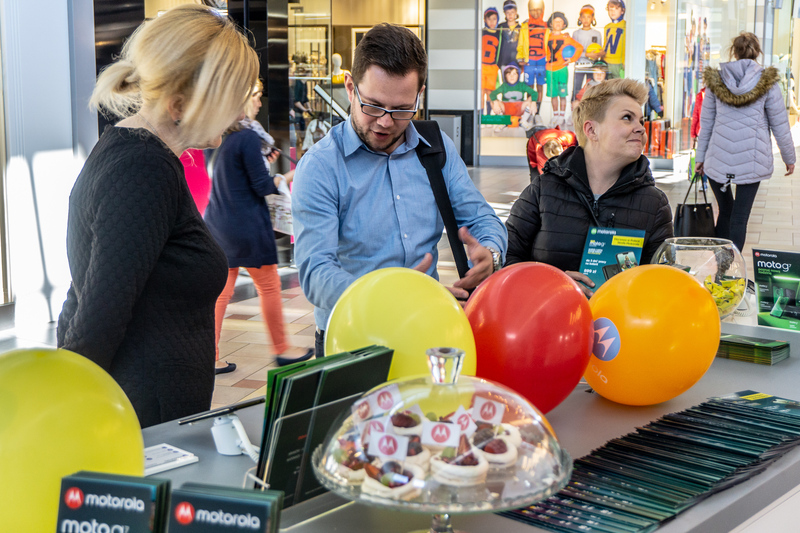 Observing (and overhearing) the staff in red T-shirts learned that the Motorola G7 Play was sold out. In turn, the last pieces of the G7 Power have survived. I was a witness to a situation in which the seller wondered whether to sell the display goods. Of course, at the customer's request. It seems, therefore, that Poles still have a great fondness for Motorola. Of course, every product bought from Motorola is subject to warranty and service. 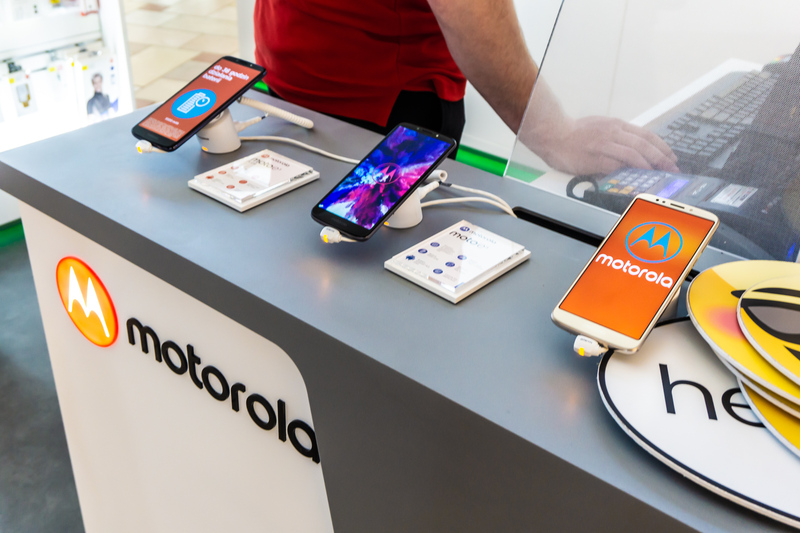 A company representative also informed me that Motorola retail equipment purchased from other vendors can also be brought in to use the service. As before, repairs and reviews are carried out by a third party with which Motorola has a signed contract. According to my findings, the third company also serves and is responsible for the sales position, but it does it directly under the Motorola brand.